Here you will find a list of the PPGFSC research groups organized according to the concentration areas of the Program. Description: Study of variable, pulsating, magnetic, collapsed, eruptive, binary stars; accretion disks and extrasolar planets. Study of stellar populations in clusters and galaxies; quasars and active galactic nuclei. Development of instruments designed for astronomy, such as telescopes, spectrographs, detection and control systems, and auxiliary or improved imaging systems. Researchers: Antonio Nemer Kanaan Neto, Natalia Vale Asari, Raymundo Baptista, Roberto Kalbusch Saito and Roberto Cid Fernandes Junior. Description: The group aims to contribute to the development of human resources in sciences and to generate necessary quantitative and qualitative data from cross sections obtained theoretically through the scattering of electrons and positrons by molecules. Researchers: Felipe Arretche and Kahio Tiberio Mazon. Description: DinEMol is an atomistic simulation tool capable of describing the nonadiabatic excited-state molecular dynamics of molecules adsorbed on extended solid surfaces as well as charge transfer processes. It is a mixed self-consistent quantum-classical Ehrenfest method for nonadiabatic MD simulations. The quantum mechanical part is described by the extended Hückel formalism whereas the nuclei are treated by molecular mechanics; the coupling between quantum-classical degrees of freedom is achieved by nonadiabatic generalized Hellmann-Feynman forces that conserve the total (quantum-classical) energy. This document describes the formalism and demonstrates some of the capabilities of the method by describing photoexcited interfacial electron transfer and the photoisomerization dynamics of molecules in gas phase. One of the goals of this research is to apply the present method in the study of photochemical switches and active photosensitizers. Researchers: Luis Guilherme de Carvalho Rego and Kahio Tiberio Mazon. Concentration Area: Atomic and Molecular Physics. Description: The Group of Quantum Information from the Southern Region (in Portuguese: Grupo de Informação Quântica do Sul – GIQSul) started its activities in 2014 at the UFSC Physics Department. Its interests include both experimental and theoretical research. Researchers: Bruno Gouvêa Taketan, Eduardo Inacio Duzzioni and Paulo Henrique Souto Ribeiro. Concentration Area: Atomic and Molecular Physics; Fundamental aspects of Quantum Mechanics, Quantum Optics, and Quantum Information; Quantum Simulation; Circuit Quantum Electrodynamics; and Quantum Thermodynamics. Concentration Area: Condensed Matter Physics and Statistical Mechanics. Description: Laboratory of research oriented to preparing and characterization of new materials with a promising potential in technological applications. Description: This experimental physics laboratory is dedicated to the study of thin film growth and their structural electrical, magnetic, and optical properties, among others. It also studies surface-adsorbed organic systems.. Researchers: Maria Luisa Sartorelli and Françoise Toledo Reis. Description: The group is focused on the study of organic anisotropic systems such as liquid crystals, polymers/elastomers and luminescent organic molecules, as well as on their application to optoelectronic devices like OLEDs, OFETs and OPVs. It also investigates biological materials for application to biosensors and bioactive systems. Researchers: Ivan Helmuth Bechtold, Juliana Eccher and Marta Elisa Rosso Dotto. Description: Study of emergent (macroscopic) properties from the interaction of many (microscopic) elements. Study of phenomena such as phase transitions, pattern formation, dynamic and stationary processes outside the thermal equilibrium, self-organization, synchronization and chaos in magnetic materials, liquid crystals, micellar systems, catalytic reactions, neural networks, interdisciplinary themes (ecology, economy, society and biology), complex systems and dynamic systems. Researchers: Alejandro Mendoza Coto, Lucas Nicolao, Marcelo Henrique Romano Tragtenberg and Marcio Santos. Description: Research developed in this group has contributed to the understanding of aspects linked to the quantum field theory. Its results have been published in the main journals in the field. Researchers: Jeferson de Lima Tomazelli, Marco Aurelio Cattacin Kneipp and Pawel Klimas. Description: Study of high energy physics, particle physics, perturbative quantum field theory, applied to more recent experiments such as the Large Hadron Collider (LHC). Concentration Area: Mathematical Physics and Field Theory. Description: The complete study of the QCD phase diagram requires complex calculations involving numerical algorithms developed in lattice QCD (LQCD) or the use of effective models. The former are still restricted to regions of very low chemical potential and, therefore, the use of models has served as a valuable tool for the advancement of knowledge. Nuclear and hadronic models generally make use of relativity, thermodynamics, field theory, and experimental and observational results that serve as links in determining parameters. Research developed by this group covers several regions of the QCD phase diagram. One of its main applications involves nuclear astrophysics and a whole process related to the study of stellar evolution, which starts from the construction of appropriate state equations. These state equations are applied to the investigation of liquid-gas phase transitions in the region of nuclear density and heavy ion collisions. Researchers: Debora Peres Menezes (líder) and Marcus Emmanuel Benghi Pinto. Concentration Area: Nuclear and Hadronic Physics. Description: In the field of hadron physics, the introduction of subnucleonic degrees is necessary for the understanding of the nuclear structure and of the relativistic effects in the description of nuclear matter and stellar matter and in the properties of finite nuclei. The consistent study of state equations obtained from relativistic models has applications to liquid-gas phase transitions at low densities; in a possible mixed phase known as ‘pasta phase’, also at low densities; in the production of particles at high temperatures in heavy ion collisions; in addition to important applications in nuclear astrophysics. 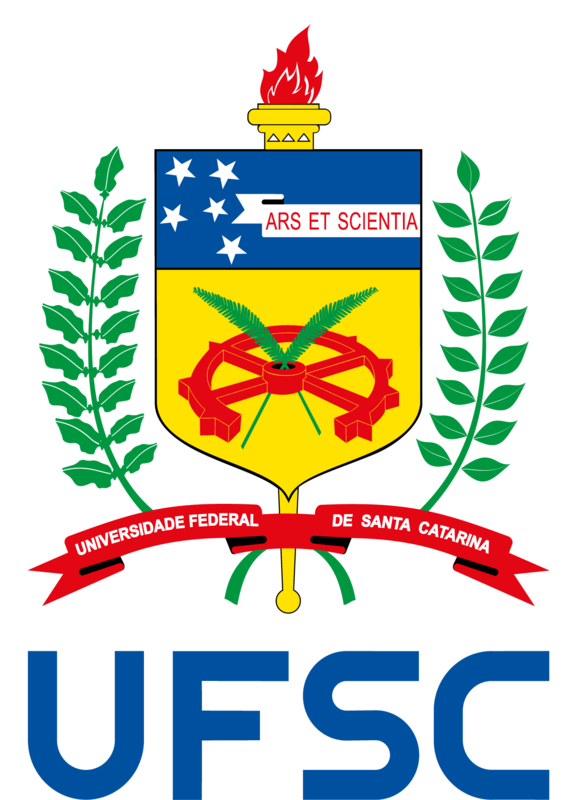 The research carried out by this group, which also includes the study of stellar matter and quarks under intense magnetic field, have had a very positive impact on the development of nuclear and hadronic physics in the southern region of Brazil, with the constant improvement of human resources at both the undergraduate and graduate levels. Researchers: Sidney dos Santos Avancini (líder) and Celso de Camargo Barros Júnior.